Q: Can you brand our new office Reception and Board Room? 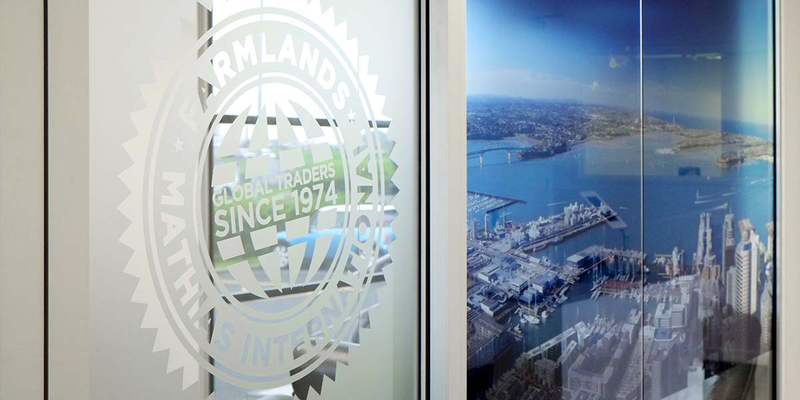 Angle Limited were briefed to design Reception and Board Room graphics for Farmlands Mathias International, shortly before they moved premises in Auckland. The global food products trading company decided to move from their central Auckland location in Newmarket, to a more functional space next to Auckland Airport. A full office fit-out created a personalised new space for their business. Angle designed the new graphics for the reception area and the Board Room. We complimented the clean and contemporary interior with large scale branding that took its cue from their recently launched website and branding, created the year before. Large splashes of full colour photography contrast well with the neutral colour palette. In the Reception space, a 2.5m high New Zealand landscape shows all visitors the pure and natural source of their meat products. 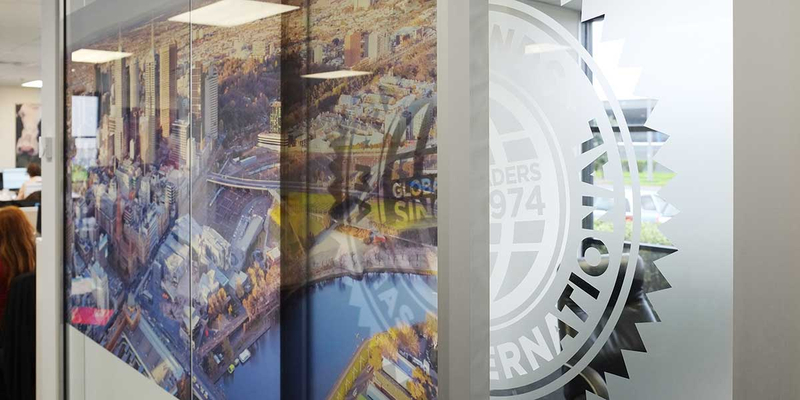 As you turn the corner and walk past the Board Room, large aerial photos of Auckland and Melbourne are revealed on the glass partition walls. These represent their two main office locations. 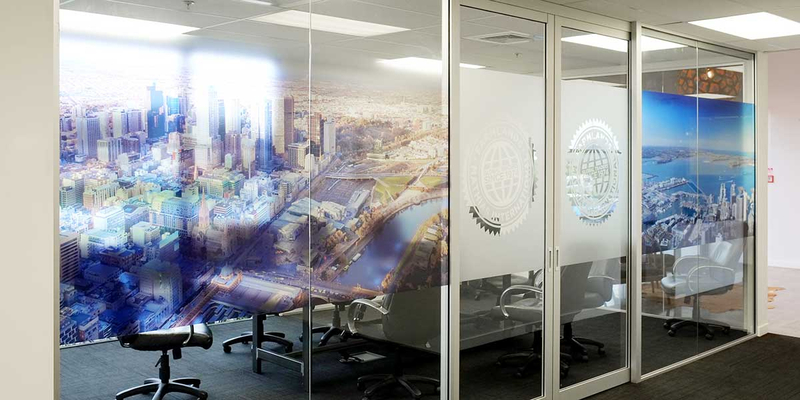 All the graphics are digitally printed onto a semi-transparent film substrate, that allows some light to pass through. 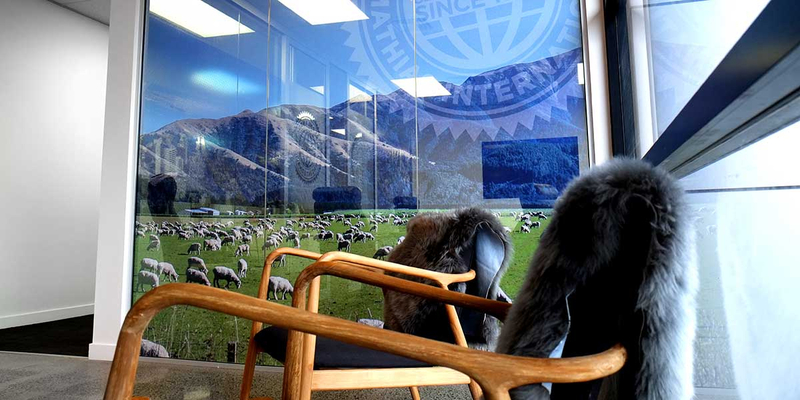 The large Farmlands Mathias International logos are reproduced in frosted vinyl on glass. The result is fresh and light, with layered transparent effects that are created when the Board Room doors open and slide behind the glass walls.